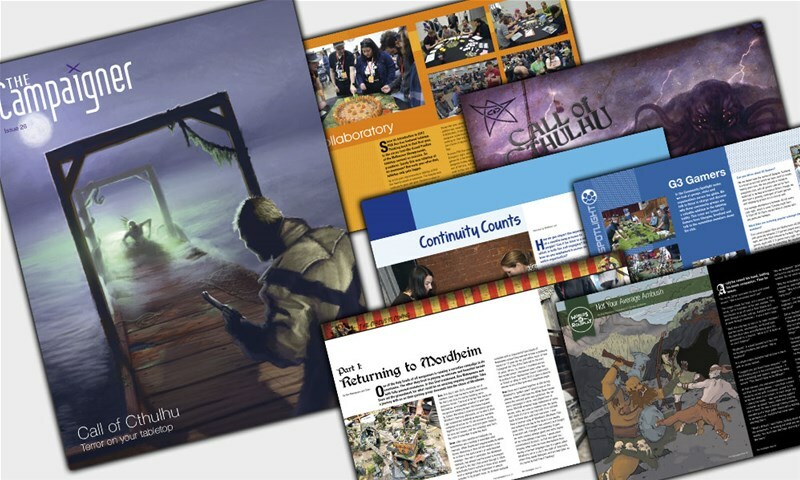 In this issue prepare to steel your nerves against otherworldly terror with the Call of Cthulhu game feature. Mike Mason, who worked on the latest edition, discusses how the game has been updated and modernised. Games aren’t just for fun, but can be used for education and training. We talk to Mary Ross-Davie from Royal College of Midwives about their newb oard game training tool Continuity Counts. PAX Aus was recently held, which featured the brand new PAX Collaboratory. We hear from two of those involved in its creation, Luke Lancaster and Matthew Lee, and discover what the area was all about. Remember the Chaos infested city of Mordheim? Ben Makepeace and Sean bring the city back to like in the first part of The Circus is Coming: Returning to Mordheim. All this plus more Worlds of Roleplay, the new Community Spotlight, articles, news and more.